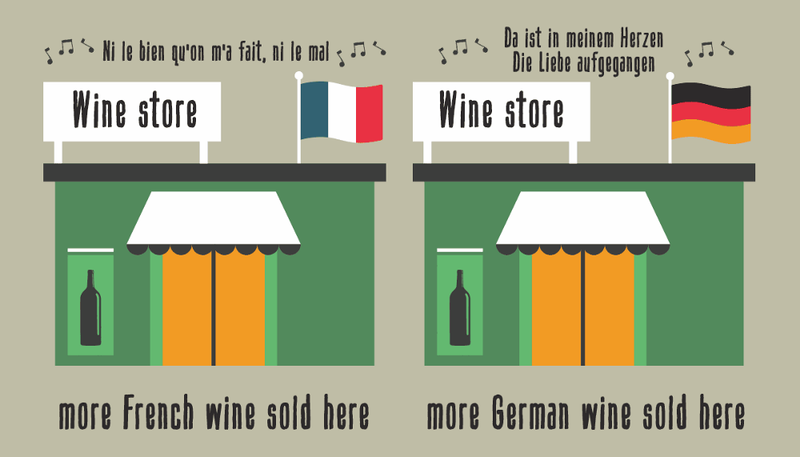 Or sometimes, creating an ambient environment may influence what you buy in a store. There are several principles that we interact with on a daily basis, which might help us design better products. Or not. One experiment testedthe power of limiting the number of soup cans that a person could buy. 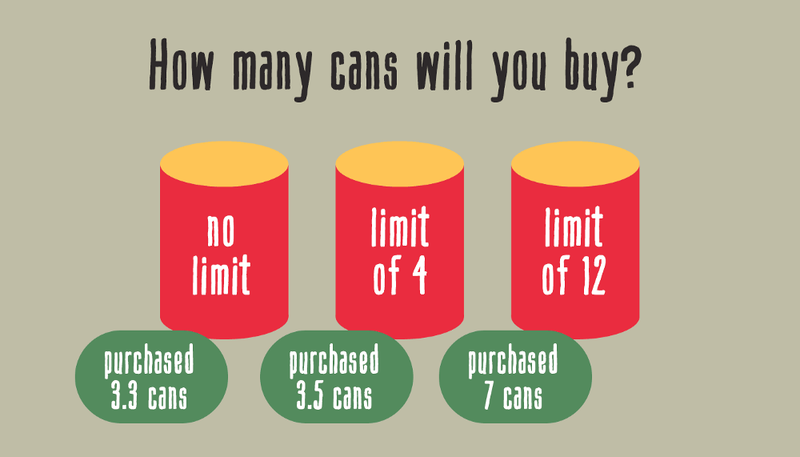 When a limit was set, the amount of cans customers purchased went up. On average by 70% from their usual 2 or 3 cans. Only thinking about spending money can make you experience a kind of physical pain. If you were to be put into a brain scanner right now and we played a game where you lost your money, the part of the brain that would light up is the same part that feels physical pain. 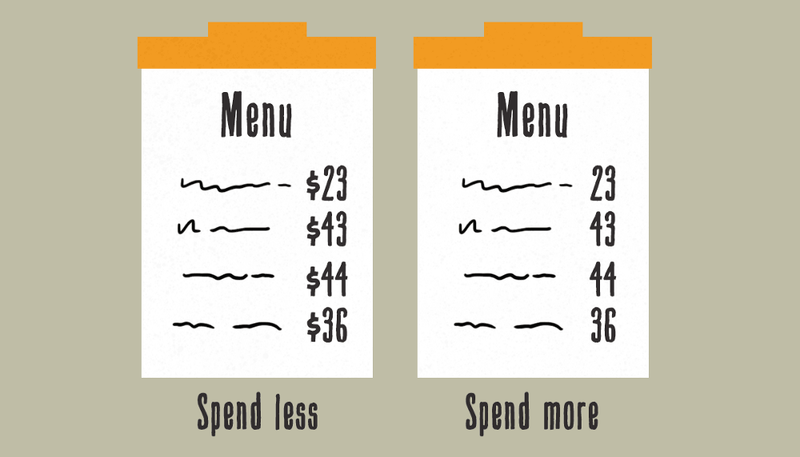 Studies have shownthat by removing the currency symbol ($) or the currency word (dollars) from menus, average spending can increase by 12%. This is because people who see only the numerical value, are less concerned about the price of what they are ordering. The same thing applies to paying with credit cards. Only the fact that we don’t see losing money (paying for something) makes the act of paying less painful and stressful. Which leads us to our next cognitive principle — loss aversion. Loss aversion refers to people’s tendency to prefer avoiding losses to acquiring equal gains. “It is better to not lose $5 than to find $5.” What distinguishes loss aversion from risk aversion? The utility of a monetary payoff depends on what was before experienced. Or was expected to happen. Some studies have suggested that losses are twice as powerful, psychologically, as gains. We are by nature loss averse. 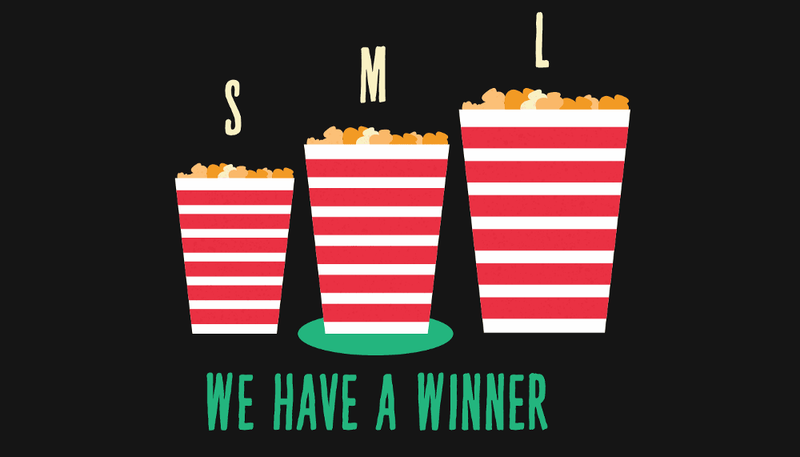 We hate losing stuff — no matter if it is money or simple points. An interesting experiment of gamification was applied and implemented in Italy for drivers. As a car driver, you receive a certain amount of points (20). And every time you violate a traffic rule, for example ignoring the traffic light, you lose points (in this case 6). This psycholgical trick decreases the chances that you will do it again. And due to its effectiveness, many countries applied this demerit point system(more info). Note:Some countries do it vice-versa. They give you points for violating a traffic rule. And giving instead of taking will skyrocket a terrible behaviour. There’s evidence that drivers were boasting between themselves on who had the most points for breaking the law.Giving points for bad behaviour means encouraging it. I see this common mistakes in fitness apps. People think and believe that why people don’t stick with a plan or don’t finish one is because the workout is a problem. Or that you need some motivating music in the background to keep you encouraged. Or a new type of training or a library of quadrillion workouts that nobody will ever do or watch. But the problem lies in commitment. The problem is not in the training program, reps, how often, but whether are we socially committed to something. 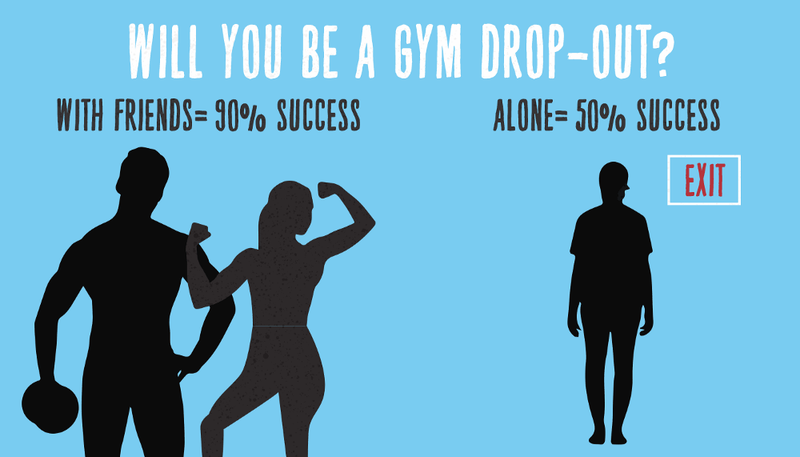 Whenever you train with a fitness trainer or with a friend, the chances that you will go to the gym and finish a training programincreases by 90%. Think about that when you try to create a movement or community around your product.And the answer may be in the fact that we should do it with a friend. As humans, we like to go with the flow of a default setting. Whether you buy a new phone and don’t change the basic settings or shop in a supermarket. Thinking is an effort (which all should practice), so when we’re recommended an option, we’ll often take the path of least resistance for our brain. When the default size of the various types of stuff we use change, so do our actions and behaviour. 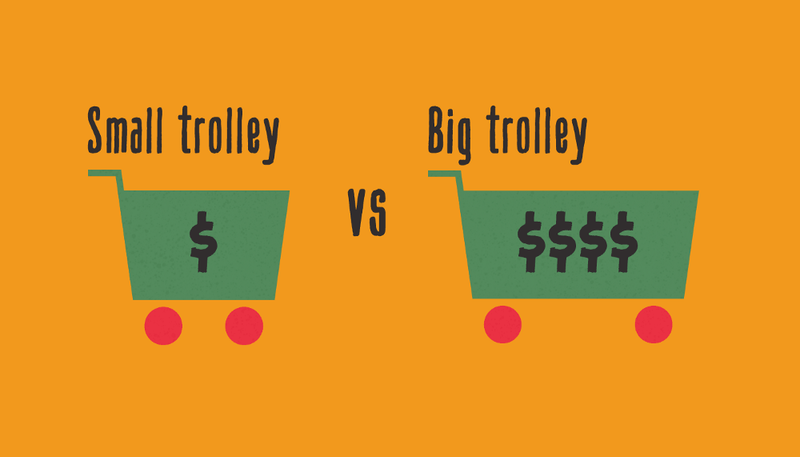 For example, whensupermarkets double the sizeof trolleys, people buy 40% more. The default portion sizes in cookery books since the 1930shave increasedevery decade, and so have the proportions of many people. When given a range of options from high to low people tend to go for the middle option. This is known asThe Goldilocks Effect. Ina study at a McDonald’s outlet, people were asked to choose between a range of different drink size options. Regardless of the size options offered, 80% of them always chose the median size option. This happens becausewe assume the middle option is the typical option. We will always go with the option that requires less effort to think about. And which is most bought or chosen (social proof). The post 7 Principles That Influence Our Behaviour appeared first on Design your way.